My amputation occurred in August 2011 when my bicycle wheel got caught in the tram track and I fell under the back wheels of a semi-trailer. The amputation is through the left knee. The leg was one of many areas of the body affected by the accident and the recovery process has taken quite a while. I was in the Alfred ICU for about 10 days, plus a further four months in the Alfred wards and Epworth Rehab as an inpatient. I continued to attend Epworth Rehab as an outpatient for another 12 months approx. At my age, 66, for most people the body is going down hill, but in my case I feel that even after almost five years the steady improvements outweigh the degradation. My three main interests are singing in a choir, listening to classical music and photography. Family of course comes first however. They have provided amazing support all the way through the recovery process. Friends have also provided huge support, especially when I was in hospital. Prior to the accident I was a consulting engineer designing and troubleshooting air conditioning systems for major buildings. I am now basically retired but spend a lot of time doing voluntary work. What have ProMotion and Epworth done for you? Promotion first started treating me when I was an inpatient at Epworth Hospital in 2011. My current prosthesis is an Otto Bock Genium. Initially I had an Otto Bock 3R80, but I had trouble with falls, so Promotion organized a trial of an Otto Bock C-Leg, which was very successful and the Genium has been amazing. 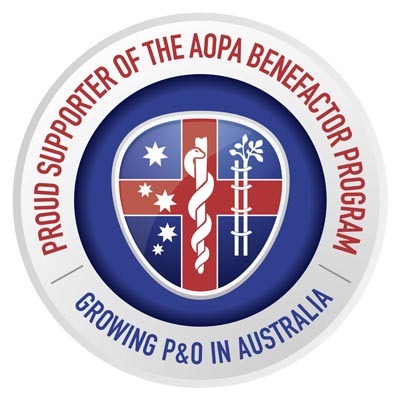 Epworth provided lots of varied services both as an inpatient and outpatient, including pottery classes, music therapy, speech therapy, hydrotherapy, back to work assistance, driving classes and license testing. Most important however has been more than a year of in-patient and out-patient physiotherapy sessions, taking me from minimal movement capability to walking. Since terminating as an inpatient, Epworth has continued providing help and advice with regular visits to the Amputee Consultant. I have also been having regular physiotherapy sessions with Neuro Rahab at Home organized by Epworth. These combined with weekly gym sessions and Pilates classes have improved my walking and fitness dramatically. What have you achieved with your prosthetic limb? Walking has always been important to me and I have worked very hard at improving my walking as much as possible under all conditions. I live at the top of a hill and this has presented challenges. My first walk down the hill took about 30 minutes. The same hill now takes about 2 minutes without a stick. There is a challenging bush walk at Fairfield Park which took 90 minutes at my first successful attempt. The walk now takes 40 minutes. 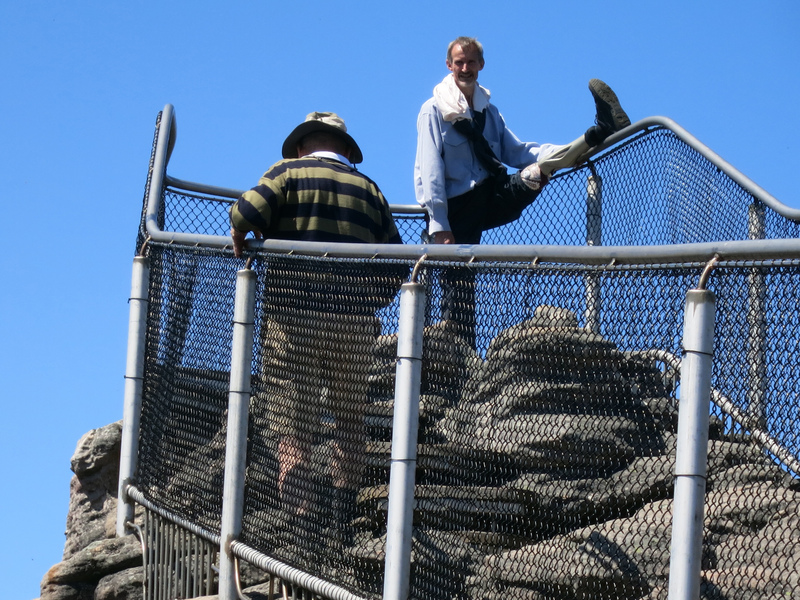 My ambition however was to walk to the Pinnacle at the Grampians, a walk that takes 2.5 hours for fit people. Last year I completed the walk in about 8 hours with 1 stick. 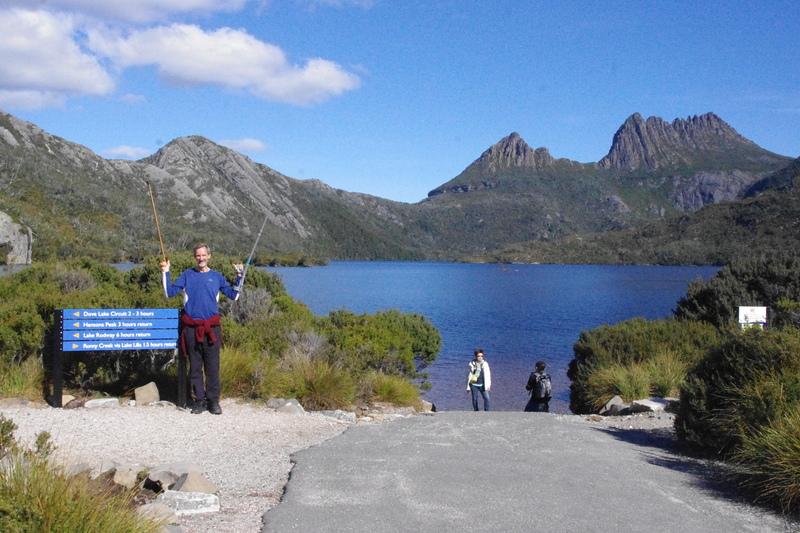 Another bush walking success was the 6 km Dove Lake circuit at Cradle Mt (Tasmania). This takes 2 to 3 hours for healthy people. This year, I completed the circuit in 5 hours with 2 sticks. In Tasmania I also completed a challenging walk at Leven Canyon, involving walking down a long steep gravel path and up 697 steps with considerable assistance on the steps from a handrail. My longest walk to date has been 10 km in about 2 hours. My major goal is to get the most out of holidays in my retirement. Prior to the accident, I really enjoyed bush walking in rocky locations. My aim is to improve my ability to walk in these locations. I also want to improve my walking up and down steps without a handrail and without sticks. While I have no desire to jog or run, I would still like to be capable of moving faster than walking pace over short distances, like crossing the road in an emergency. This entry was posted in Blog Post and tagged Epworth Rehab, Ken Anderson, ProMotion. Bookmark the permalink.